You say you just bought a new TV? Sorry, it's already out of date. Well, they did it. The HDMI Licensing Group has unveiled the HDMI 2.1 spec, adding support for dynamic HDR, 8K60, and 4K120 (I’ll explain all those features in a moment). This means if you just got a beautiful new TV in a holiday sale, it’s already well on its way to becoming outdated. 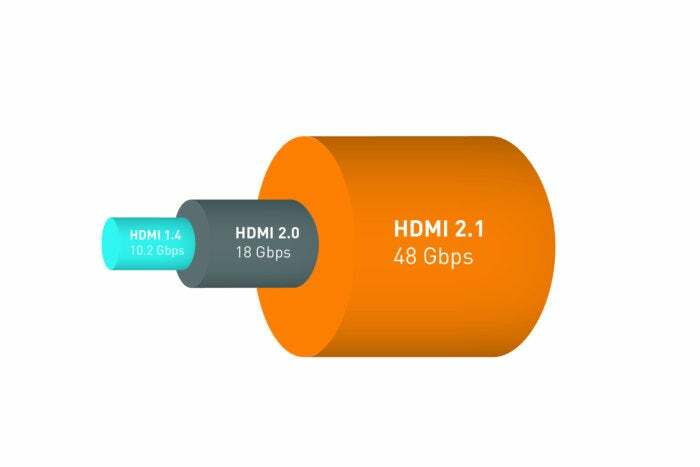 To take full advantage of the new HDMI spec, you’ll need a new 48-gigabit-per-second cable. That cable will also work with older HDMI 1.3 (10.2Gbps) and HDMI 2.0a (16Gbps) ports, but those ports don’t support the new HDMI 2.1 features. We asked our press contact whether firmware-upgradeable HDMI ports can be updated to handle parts or all of the new standard, but didn’t get a firm answer. 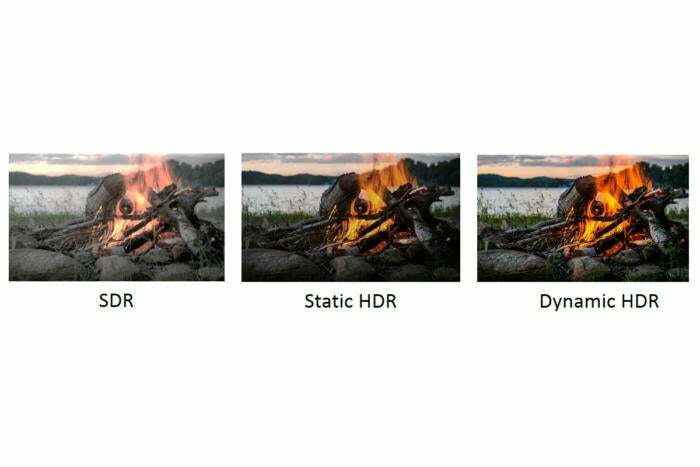 Dynamic HDR won’t necessarily be this much better than HDR-10 in every scene, but it does allow the possibility. OK, so what exactly does HDMI 2.1 deliver? Let’s start with Dynamic HDR, a rendering technique in which high dynamic range information is sent to the TV throughout a video—scene by scene, or even frame by frame—and not just at the beginning, as HDR-10 handles it. This allows for finer control of brightness and color levels. Dolby Vision delivers Dynamic HDR via the current HDMI 2.0a spec. It’s worth noting that HDR is also coming to computers, with Nvidia and AMD baking the tech into their latest GPUs. Dell’s new Dell 27 Ultrathin monitor (model number S2718D) supports HDR-10 today, and LG has said it will show its own HDR-compatible monitor at CES. Next up in HDMI 2.1 is support for 8K60—another one of those math-challenged monikers for 16:9, 7680x4320 resolution at 60Hz. HDMI 2.1 also supports 4K120, which entails either 4096x2160 (true 4K) or 3840x2160 (4K UHD) at 120Hz. For the sake of comparison, signals for those resolutions are limited to 60Hz in HDMI 2.0a. All the new new speeds and signal rates require increased bandwidth, hence the new 48Gbps cables. A bigger pipe (48 gigabits per second) allows more information for higher resolutions, greater frame rates, and wider color gamut (i.e., more colors). Finally, HDMI 2.1 adds support for the new object-oriented audio codecs—such as Dolby Atmos and DTS X—which can position audio events from movie soundtracks in 3D space.